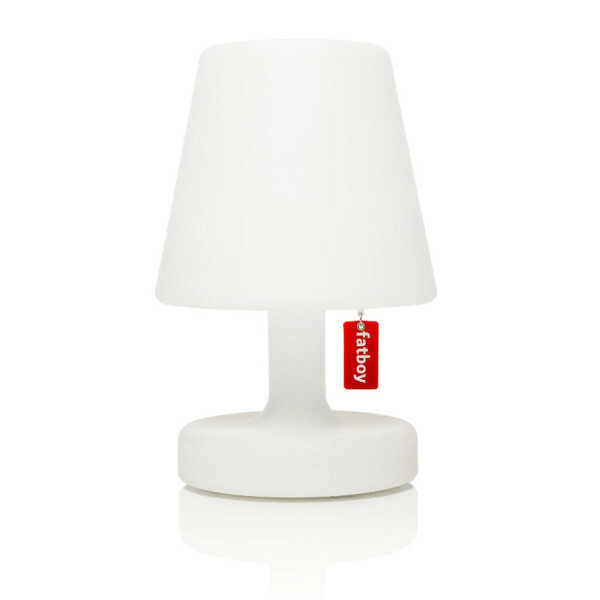 Minimal, battery-powered LED lamp with 3 power settings and 6-8 hours of light per charge. Made of splash-resistant, UV-stabilized polyethylene. Also available with patterned lampshades.